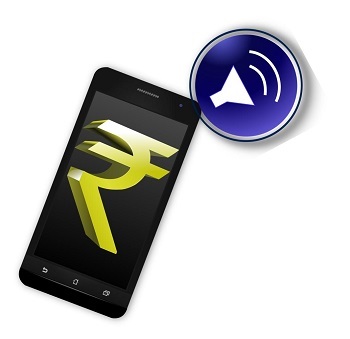 Consumers in India will soon be able to take advantage of the convenience of sound-based mobile payments. ToneTag, a sound-based technology startup, has been tapped by MoboMoney, a payment platform that was launched in December 2015 by Tech Mahindra, to introduce a new feature into the MoboMoney ecosystem. ToneTag has developed technology that can facilitate mobile transactions with a simple sound or through the use of NFC technology, which most modern payment platforms are based on. MoboMoney notes that the ToneTag sound-based technology is capable of facilitating transaction even on devices that are not equipped with NFC technology. This technology is still relatively rare in India, though more NFC-enabled devices are becoming available in the country. Sound-based technology could allow more consumers to participate in the mobile commerce space, allowing them to use a wide range of devices to make purchases in physical stores. A growing number of physical stores are beginning to support mobile commerce and more consumers participating in this space may lead to success for retailers. India is one of the fastest growing mobile payments markets in the world. The country is home to more than 1 billion mobile consumers, with many of these people living in rural areas. Those living in rural areas have shown particular interest in mobile commerce because it allows them to shop whenever they want and from wherever they are. MoboMoney aims to expand mobile commerce services to the full gamut of these consumers, hoping that more people will opt to make transactions via their mobile devices. ToneTag has been finding success with its innovative technology. In August of last year, ToneTag rose a total of $1 million in funding. This money allowed the company to expand and perfect its services. Sound-based mobile payments have not yet become mainstream, but ToneTag’s ability to make mobile commerce more accessible to a wide range of people may change this in the coming years.